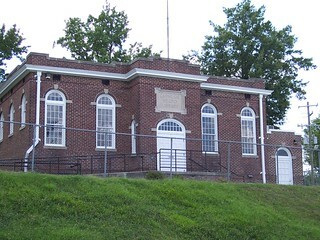 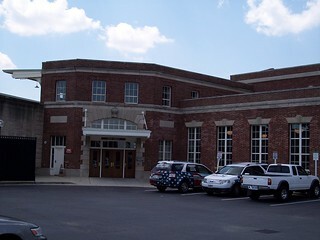 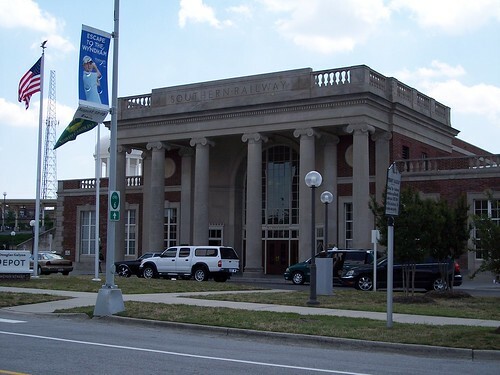 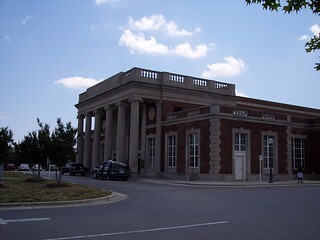 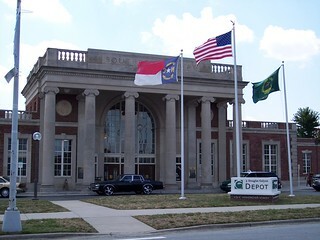 The large old Southern Railway station building in Greensboro. 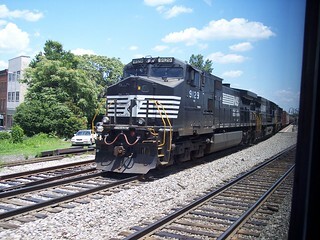 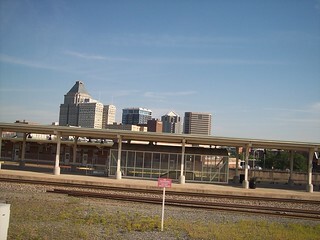 The platform used by the Carolinian and the Piedmont. 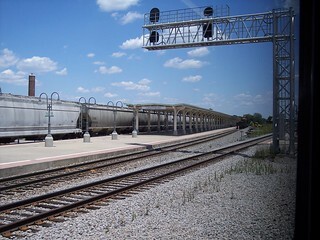 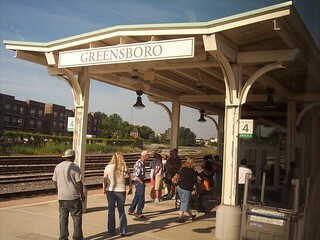 The platform used by the Crescent. 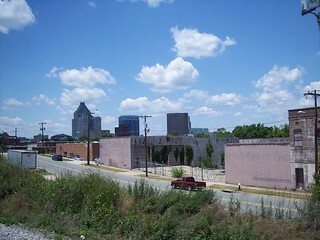 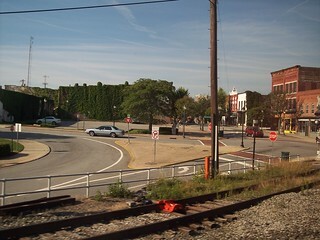 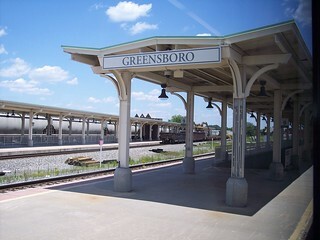 Views of Greensboro from the train.